Creating a brand for your company is no easy task. It requires a ton of market research, hours of brainstorming, coming up with new ideas and throwing away old ones, and ongoing tweaks to design and messaging to ultimately come to a final brand identity. Your brand tells potential customers and clients who your company is, what you stand for, and the benefits that working with your company can offer them. But, what about communicating who you are and what you stand for, and the benefits of working at your company, to potential candidates? Well, that’s where employer branding comes in. While your corporate brand – the one crafted by your marketing team – is valuable for attracting new clients or new customers, your employer brand – crafted by your talent acquisition, recruiting, or culture team – is different. It communicates the unique value of working at your organization, growth opportunities, and can be the make or break difference to a candidate when deciding whether or not to accept an offer from your company. 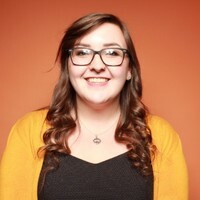 All jokes aside, having an employer branding strategy in place is necessary (particularly in the age of the internet, where everything is a Google search away) for attracting and converting the quality talent your organization is looking for. Keep reading for tips on how to get started by uncovering your brand values, and planning a strategy that will work for your business. One of the most important parts of any employer branding strategy is identifying your business’s values, with respect to hiring, culture, and employee engagement. After all, no one wants to work at a company that doesn’t invest in making their employees happy and giving them opportunities to grow. This is where your peers, not only in talent acquisition and recruiting, but all around the organization, come into play. Spend time sitting down with different team members. Talk to new hires, employees who have been with your company for a few months, and veterans who have been around for over a year. Find out: What makes them excited to come to work every day? What are their favorite things about your company? What do they see as the best perks of being an employee? Maybe your organization is built on diversity and inclusivity, and that’s reflected in the people you hire. Or maybe your organization has comprehensive benefits, like unlimited time off and work from home flexibility. Or, maybe you offer less time out of the office, but you provide career development opportunities every quarter that employees are encouraged to utilize. Whatever the case may be, use these interviews as an opportunity to uncover your brand’s true values – and, by definition, your employer value proposition. 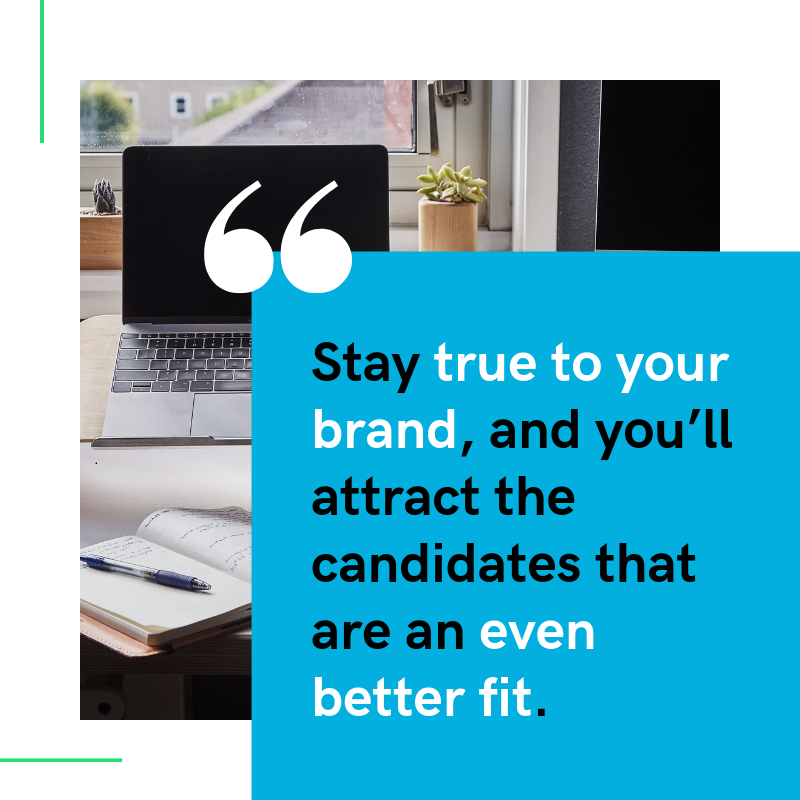 It’s important to keep in mind that not every candidate, no matter how qualified they are, will identify with your brand values. And that’s okay. Stay true to your brand, and you’ll attract the candidates that are an even better fit. Once you know your brand values, the rest of your employer branding strategy – from the content you should be creating to the messaging you should use on your Careers site – will fall into place. When it comes to creating an employer branding strategy, there’s no one-size-fits-all approach that you can rinse and repeat. Every organization and their employees, both current and prospective, is different. What works for another company (like creating a unique internet presence for their employer brand, investing heavily in social media, or creating an employee referral program) may not work for your company. But that doesn’t mean that investing in employer branding in the ways you can isn’t worth the effort. As is the case with corporate brands, building an employer brand is no overnight project; it takes a lot of work. But the work you continuously put in can reap the benefits of highly interested, qualified talent proactively coming to your company to learn more – and that’s a trade off we think you’ll be happy to make. Get started building your own employer branding strategy today with our Employer Branding 101 kit, full of helpful whitepapers, webinars, and other resources that will set you on the path for success.